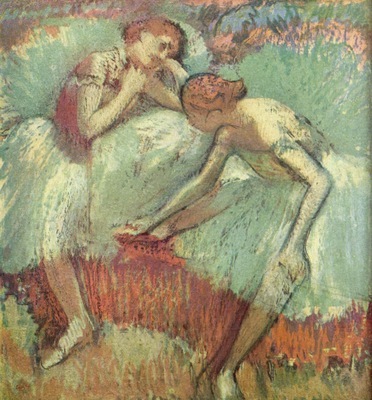 Edgar Degas[p] (19 July 1834 – 27 September 1917), born Hilaire-Germain-Edgar De Gas (French pronunciation: [ilɛʁ ʒɛʁmɛnɛdɡɑʁ dəˈɡɑ]), was a French artist famous for his work in painting, sculpture, printmaking and drawing. He is regarded as one of the founders of Impressionism although he rejected the term, and preferred to be called a realist. A superb draughtsman, he is especially identified with the subject of the dance, and over half his works depict dancers. These display his mastery in the depiction of movement, as do his racecourse subjects and female nudes. His portraits are notable for their psychological complexity and depiction of human isolation.